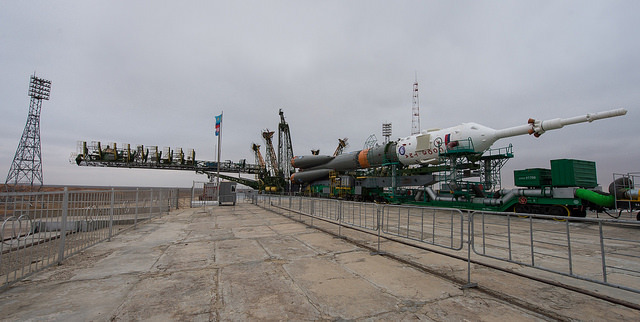 A Russian Soyuz rocket has reached its last stop before liftoff Friday with two Russian cosmonauts and veteran NASA flight engineer Jeff Williams, who is slated to break the record for the most cumulative time spent in space by a U.S. astronaut. 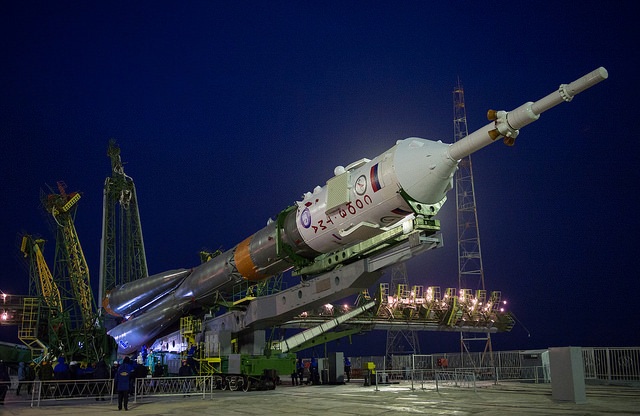 The kerosene-fueled rocket is set for launch at 2126 GMT (5:26 p.m. EDT) Friday from historic launch pad No. 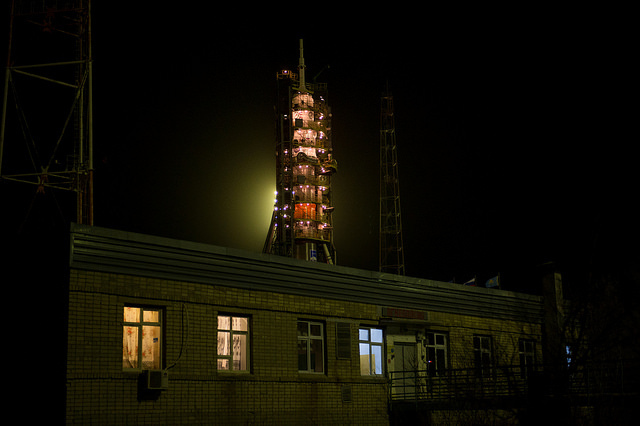 1 at the Baikonur Cosmodrome in Kazakhstan, the same starting point used on the first human spaceflight by Yuri Gagarin in 1961. 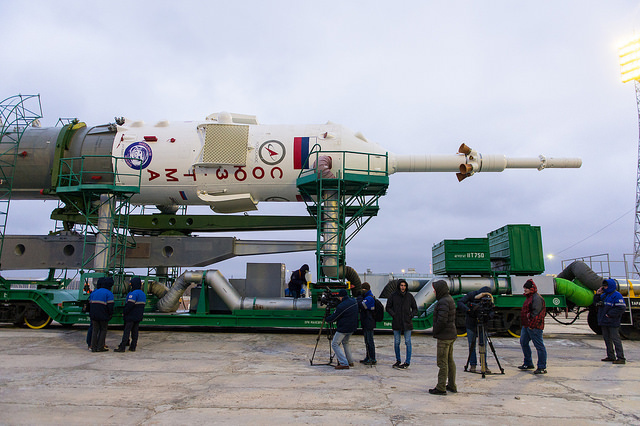 Commander Alexey Ovchinin, a 44-year-old first-time space flier, will occupy the center seat of the Soyuz TMA-20M space capsule for Friday’s launch. 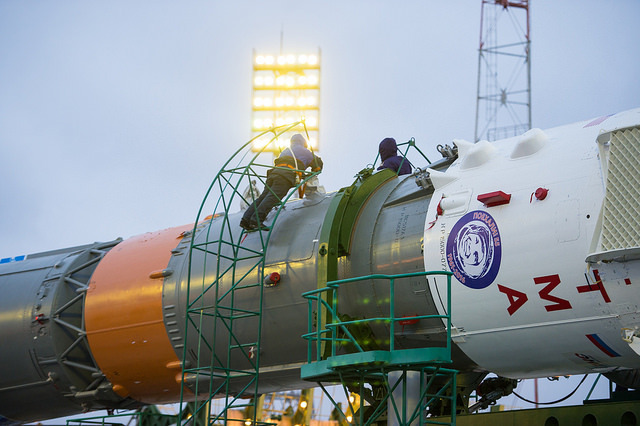 Cosmonaut Oleg Skripochka, who logged 159 days in orbit on a space station expedition in 2010 and 2011, will sit in the left seat of the Soyuz spacecraft, serving as board engineer No. 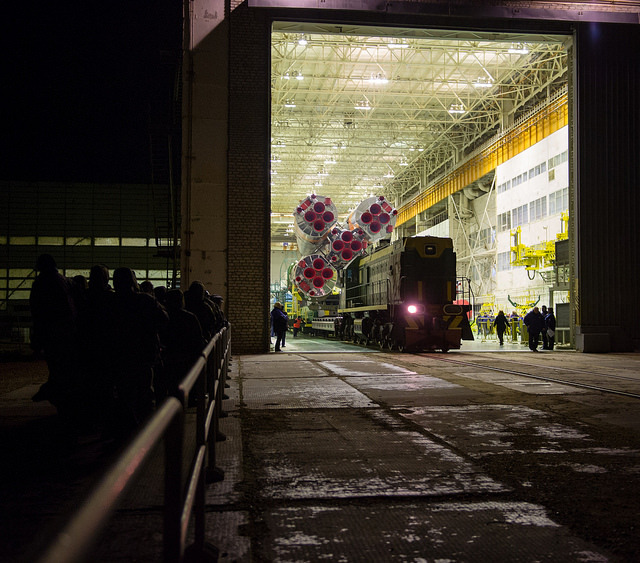 1 and assisting Ovchinin during the flight. 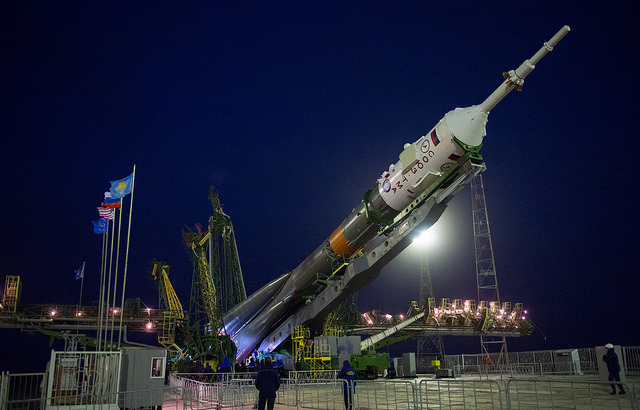 Williams, who will become commander of the International Space Station in June, will take the right seat of the Soyuz capsule for ascent. 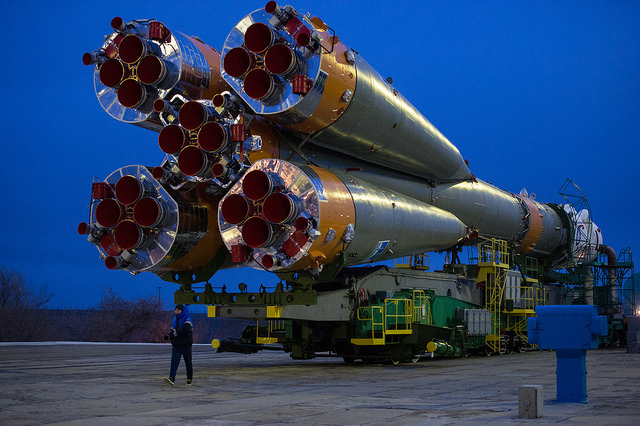 He is making his fourth trip into space, and his third long-duration mission to the space station. 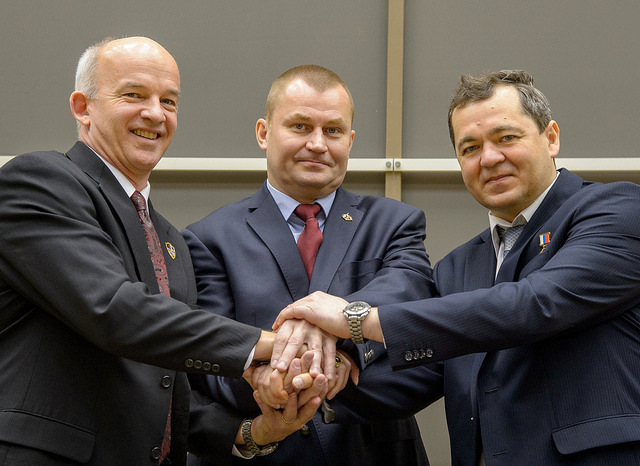 The trio will join three crew members already aboard the orbiting outpost 250 miles above Earth — NASA Expedition 47 commander Tim Kopra and flight engineers Tim Peake and Yuri Malenchenko from the European Space Agency and Russia, respectively. 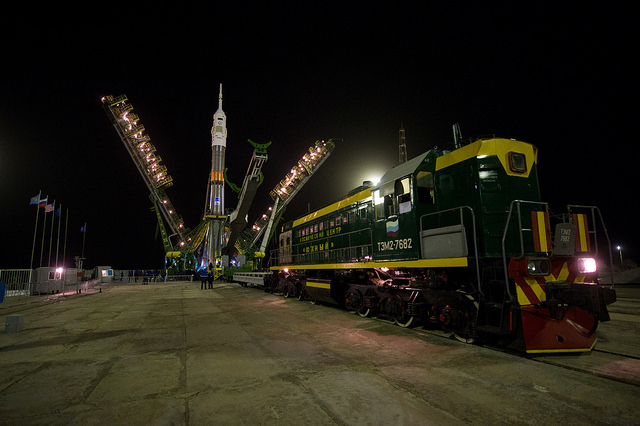 Ovchinin, Skripochka and Williams will restore the space station crew to six members after docking to the research lab’s Poisk module at 0312 GMT Saturday (11:12 p.m. EDT Friday), less than six hours after liftoff. 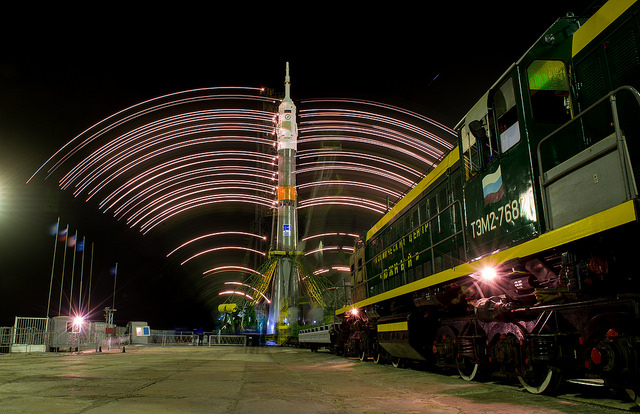 The Soyuz TMA-20M crew is scheduled to return to Earth around Sept. 7 after 172 days in orbit. 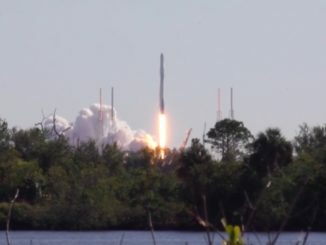 That will give Williams the record for the most cumulative time spent in space by a U.S. astronaut, eclipsing the 520-day mark just recorded by Scott Kelly, who returned to Earth in early March. 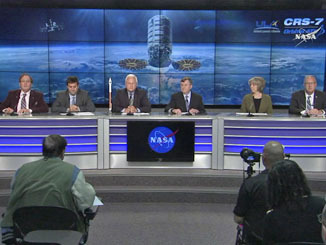 Kelly’s last space mission lasted 340 days. 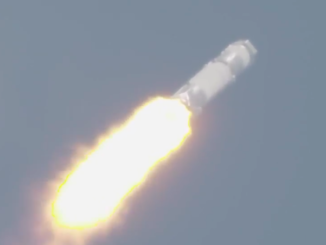 Williams has accumulated nearly a year — 362 days — in orbit on his previous three missions on the space shuttle and space station. 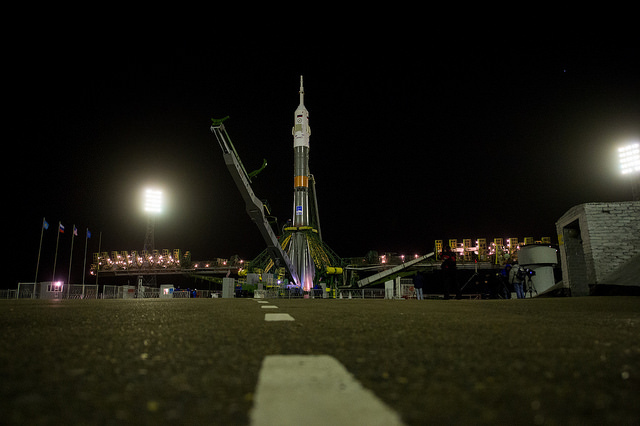 His logbook will read 534 days in space at the end of his coming expedition, putting him first among U.S. astronauts and 14th in the world. 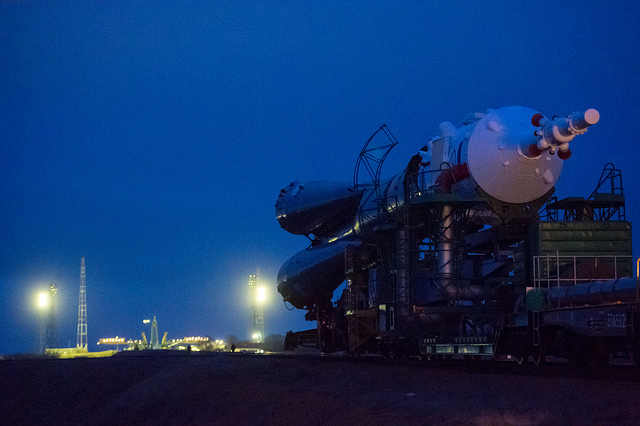 Russian technicians rolled out the Soyuz rocket from an assembly hall to its launch pad before sunrise Wednesday, but ground crews delayed lifting the launcher vertical due to inclement weather at the Baikonur Cosmodrome. 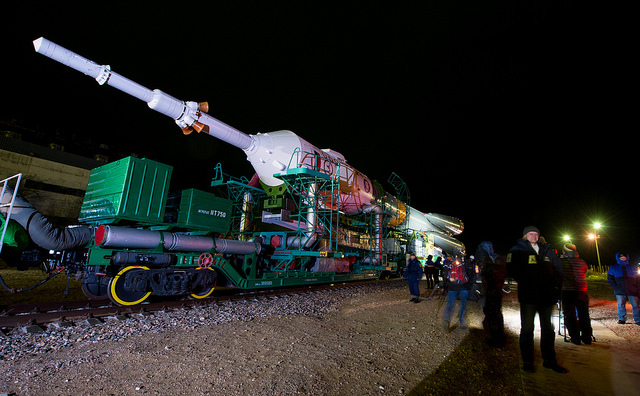 The rocket was eventually rotated upright on its launch mount later Wednesday, according to a statement by Roscosmos, the Russian space agency. 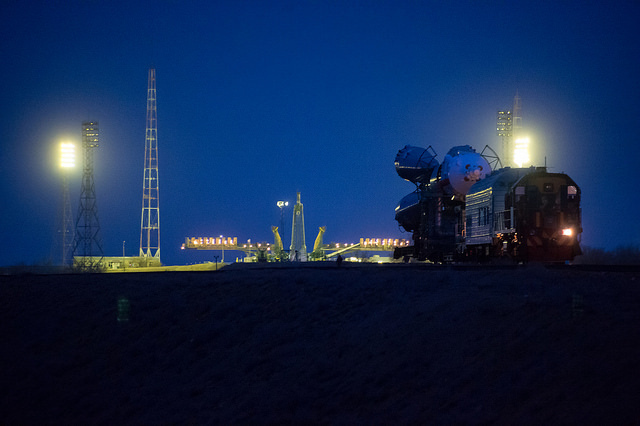 Retractable platforms moved into position around the Soyuz launcher to give workers access to the rocket for final preflight preparations. 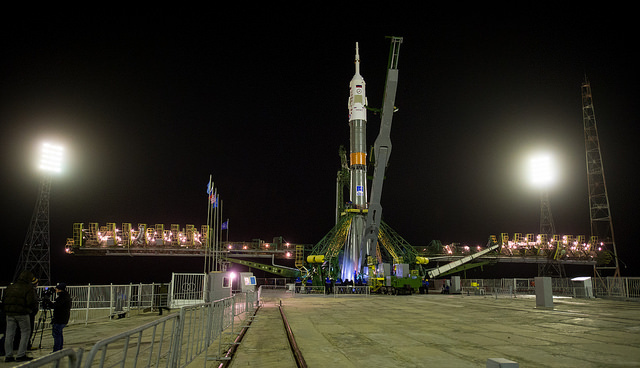 The three-stage Soyuz booster will place the three-man crew into orbit less than nine minutes after launch, then the capsule will deploy its power-generating solar panels and navigation antennas to help guide its approach to the space station. 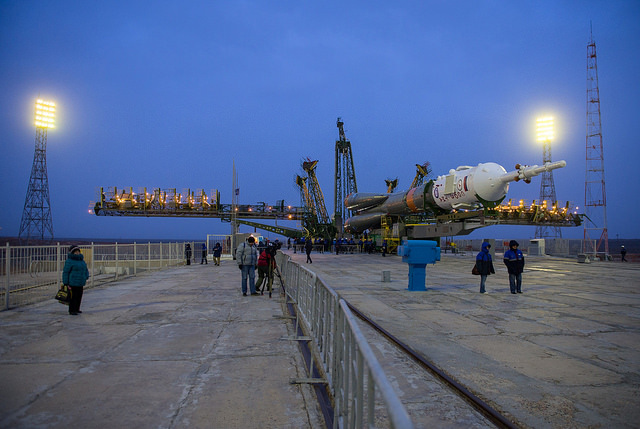 A series of engine burns will set up the Soyuz TMA-20M spacecraft for its automated rendezvous with the station, which officially begins around 0102 GMT (9:02 p.m. EDT). 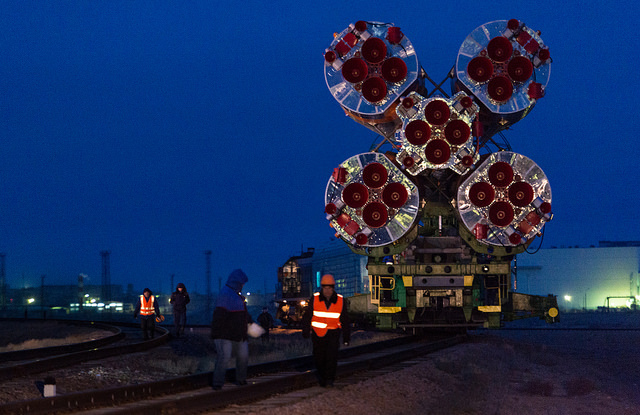 The Soyuz will activate its Kurs rendezvous radar at about 0134 GMT (9:34 p.m. EDT). 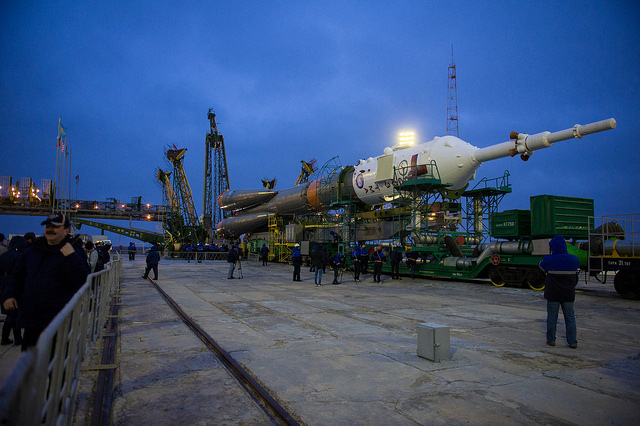 The Soyuz capsule will fly around the space station to line up with the space-facing Poisk docking compartment, then begin its final approach at 0300 GMT (11 p.m. EDT), with docking less than 12 minutes later. 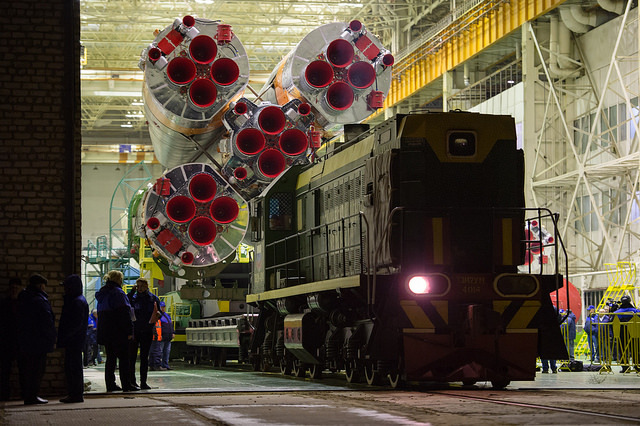 The photos below show the Soyuz rocket’s rollout to the launch pad Wednesday.